Here you can see a flowery compliment of spring. 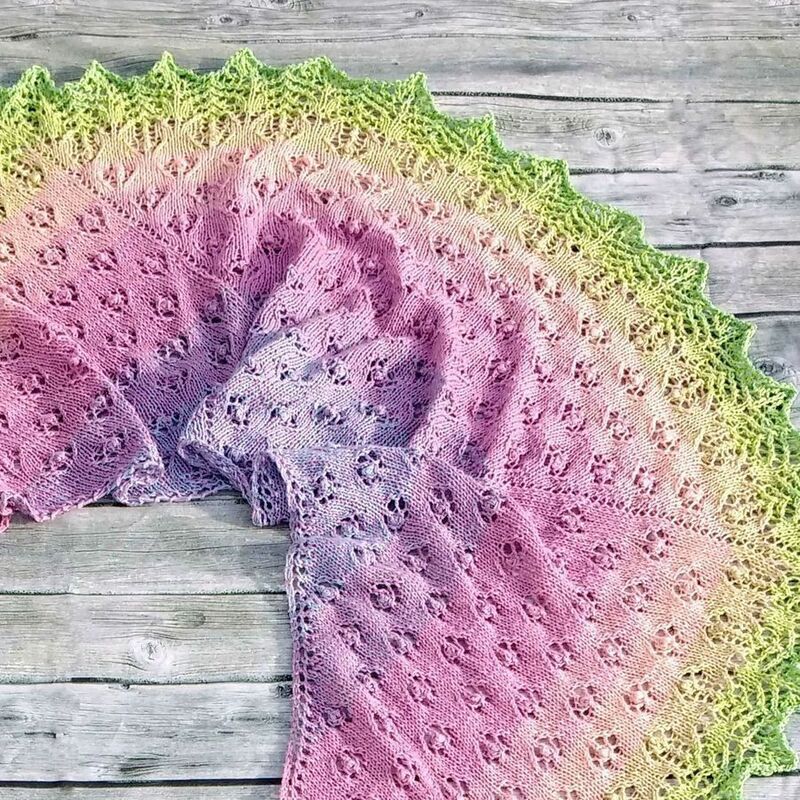 You can knit this shawl in different sizes and with more or less flowers. The pattern contains detailed instructions for two sizes. The lovely lace edging is the same with all versions. As a bonus, this pattern contains a coupon code of 5 € on your order of the original gradient yarn cake from Garnmanufaktur valid for any other desired colourway as well.